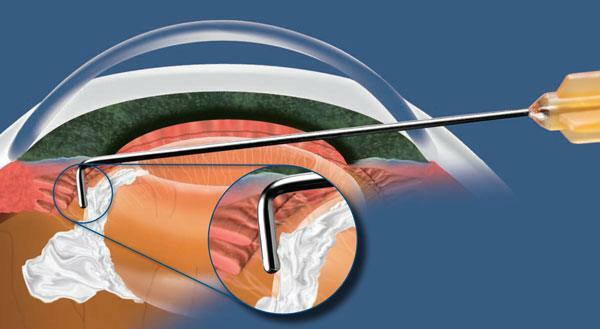 The AccuDrop cannula was designed by Accutome for administration of dropless cataract drug formulation. The 25 or 27 gauge cannula has a blunt tip design to reduce zonular trauma. An angled shaft with a carefully placed side port opening allows gentle targeted drug dispertion. A 90 degree bend in the shaft facilitates easier insertion into the anterior chamber.